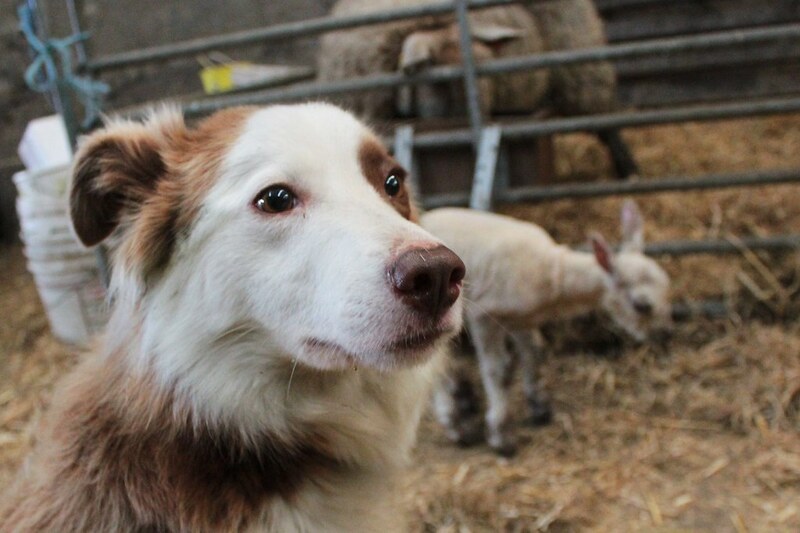 This is the story of a lamb, on the brink of death, who was nursed back to health with some help from a certain sheepdog. We begin our story on a quiet Wednesday afternoon. 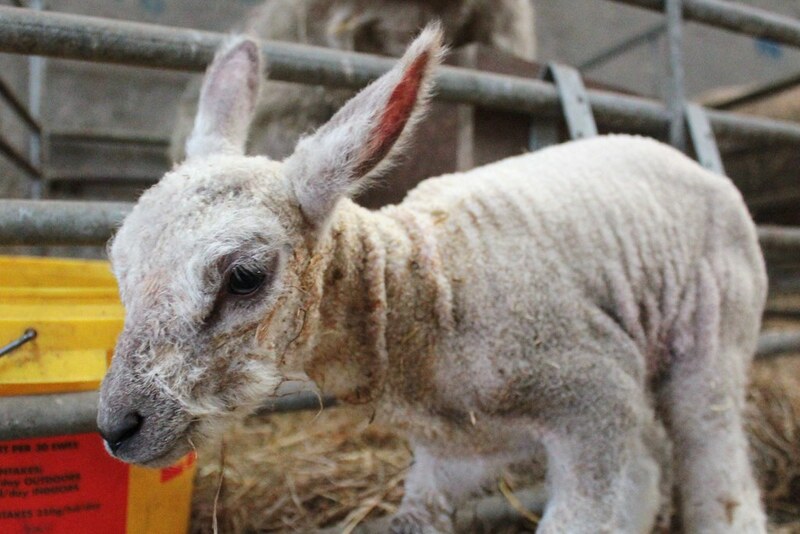 A flock of first-time mothers had just been trasported home and were getting settled into their new house, but one was already showing signs of lambing. 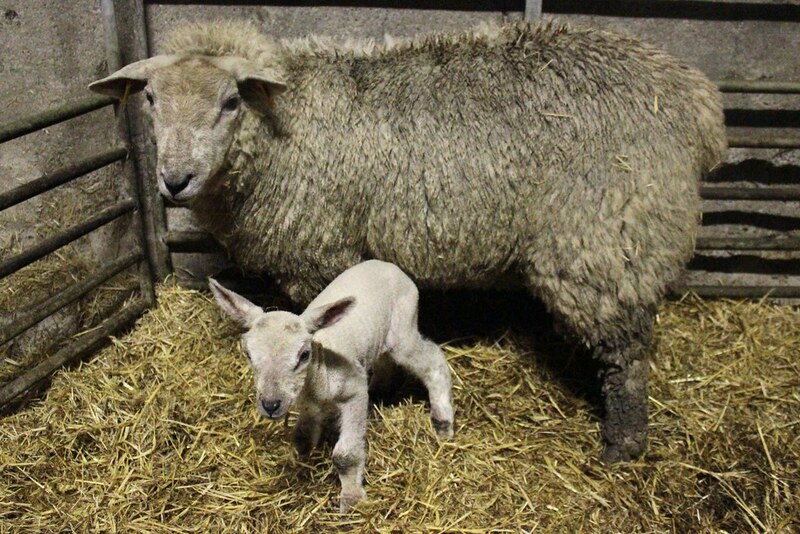 With a little help from Dad, she gives birth to a single lamb. We leave both to become bonded and carry on as usual. 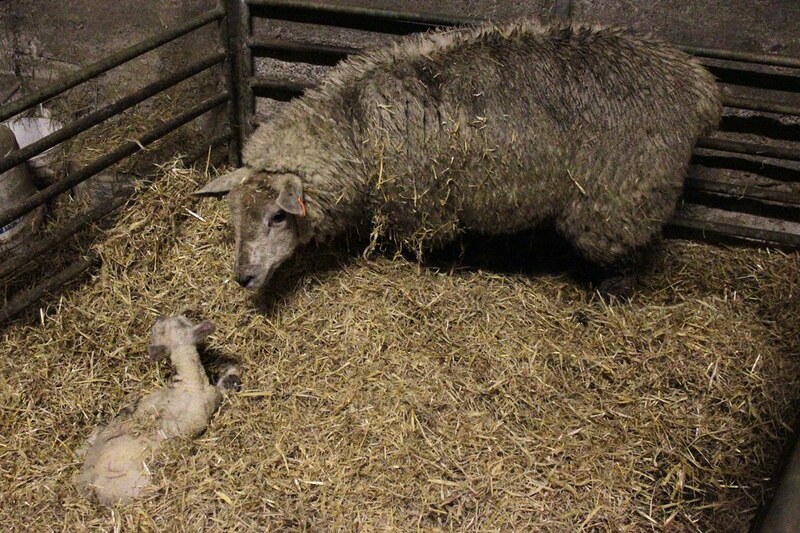 On checking the sheep this evening, we found that the little female lamb born earlier is shivering, unlicked and unable to move. We give her some milk through a stomach tube. She appears to be hypothermic. For the first time in a good few years, we decide to bring her inside. 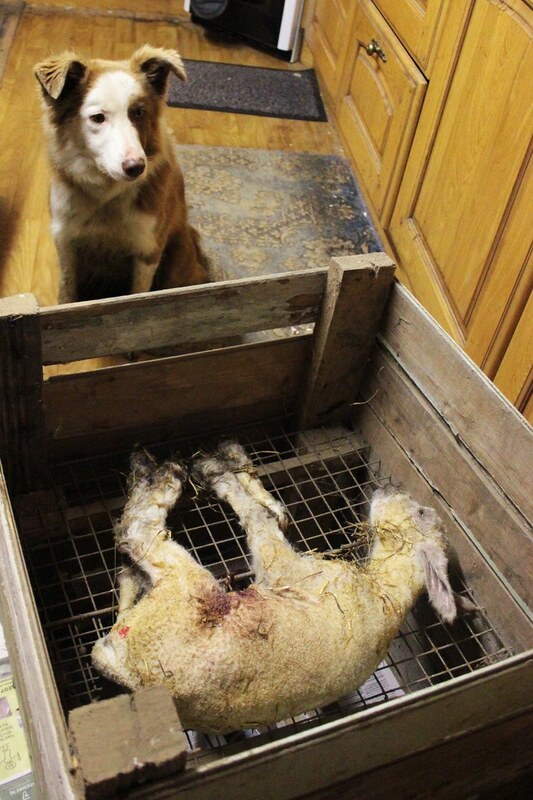 The lamb's been placed in a special box designed for the job. 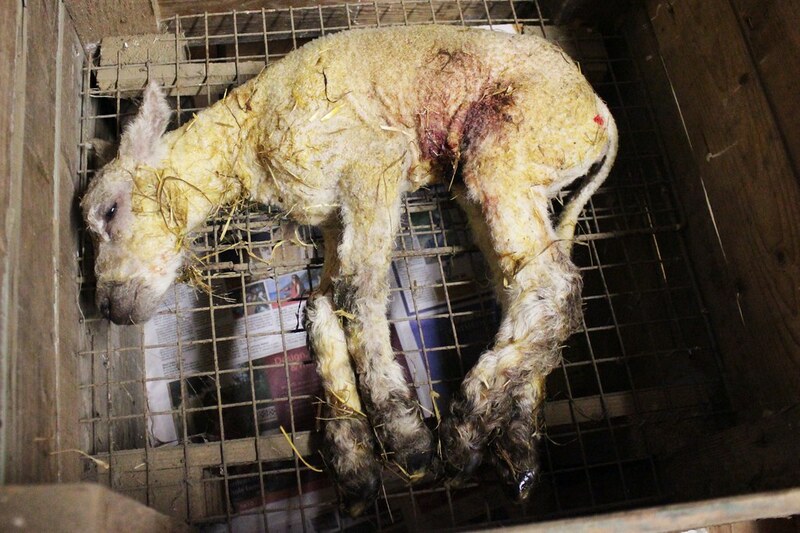 It's a tall box, with wire mesh for the lamb to lie on and a section cut out of one side for the heater to be placed in. She's still shivering. In order to give her an extra helping hand, as many people are crammed into the kitchen as possible. Which isn't many, just three humans and an enthusiastic dog. Pip keeps watch. 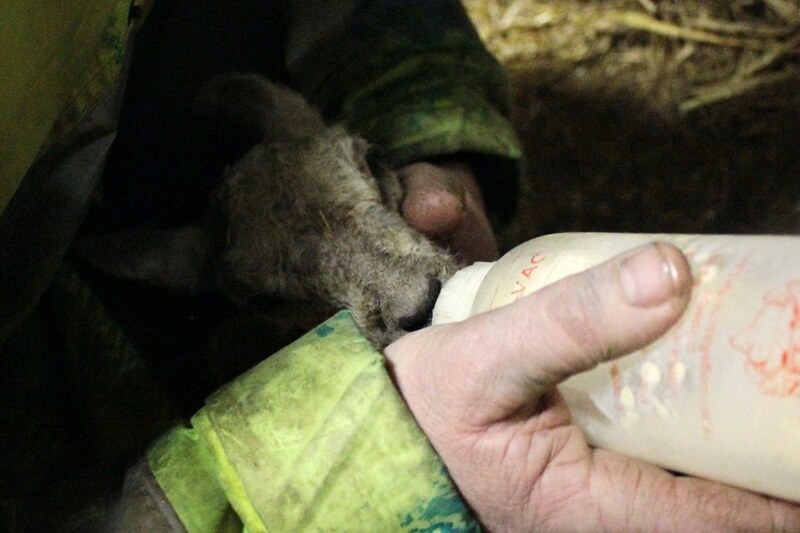 We check the lamb's temperature via her ears and mouth - both should be warm to the touch - but in this case, they're ice cold. 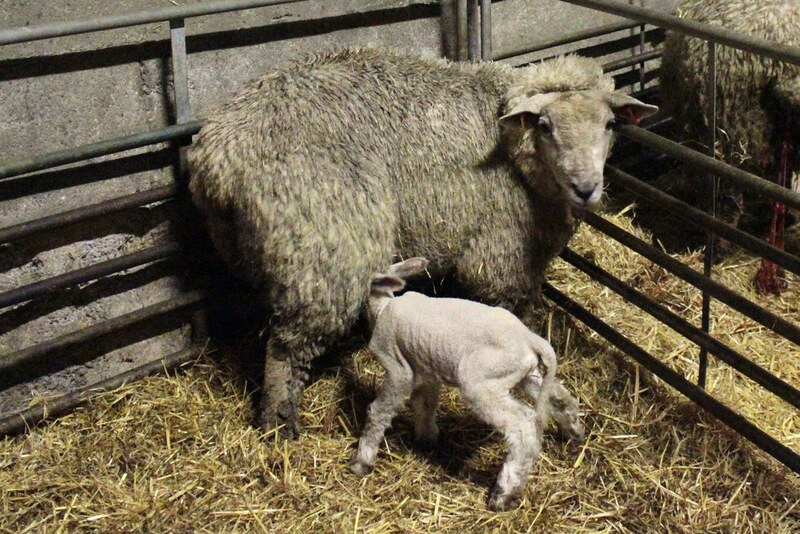 The fact that her mother didn't lick her on such a cold evening didn't help. 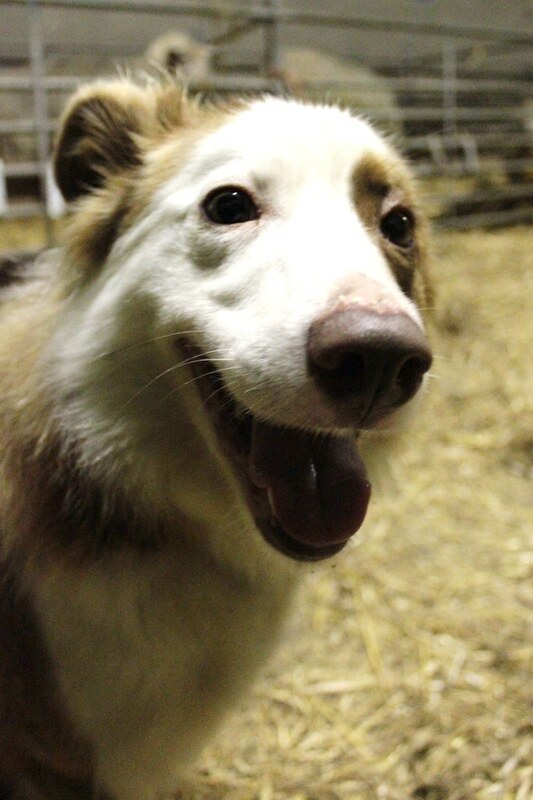 Pip doesn't stay inside for long, since she's got her own house to go into. 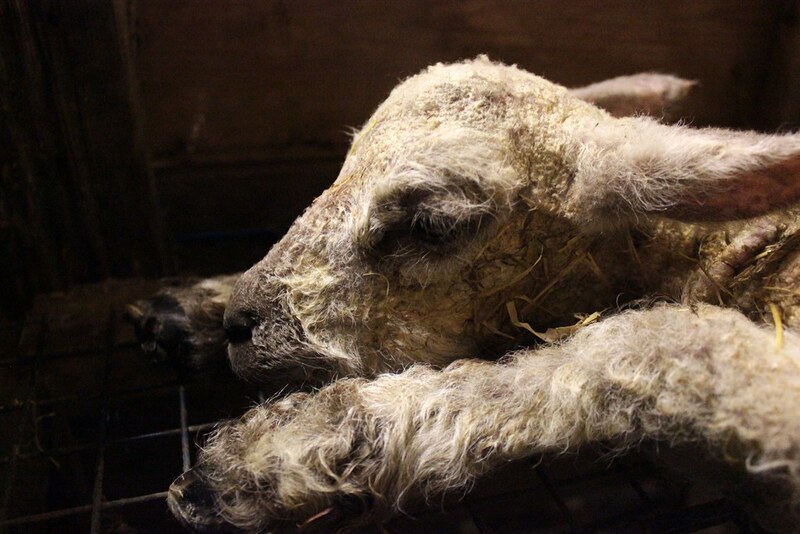 She gives the lamb a parting smile and I take her outside again. 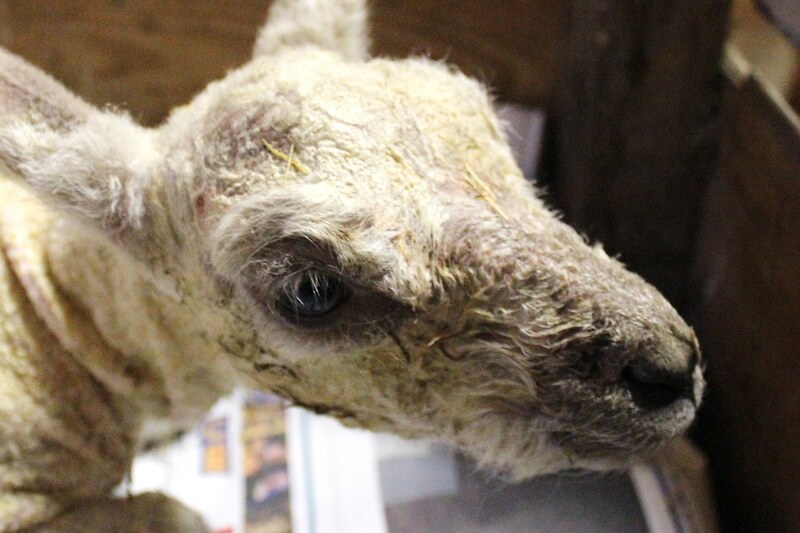 We're keeping a close eye on the lamb and she's just received an injection of the sheep equivalent of penicillin. Dad walks into the kitchen and randomly says, "How's Kitty? Is Kitty alright?" 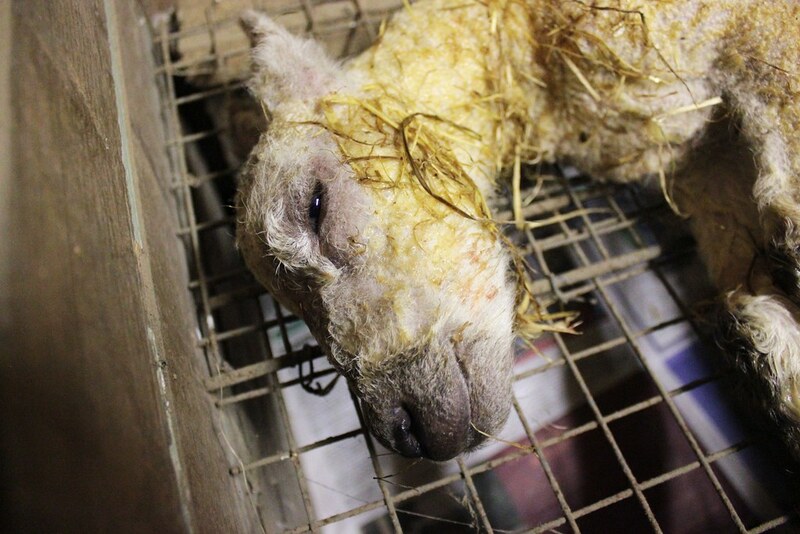 to the lamb. I ask him where that outburst came from. He replies that he has no idea. The name sticks. The kitchen has effectively been turned into a sauna and all humans had to evacuate to the living room long ago. From there we hear the sound of a lamb bleating and I go to investigate. Kitty's trying to get her head up, so I help her onto her tummy so she has a better chance of sitting up. The sounds from the kitchen have escalated from bleats to thumps as Kitty attempts to get onto her feet. Her ears are warmer now and she's looking far better. We put newpaper down so that she has a better chance of getting up and is more comfortable. Debate on whether or not Kitty stays in overnight begins. 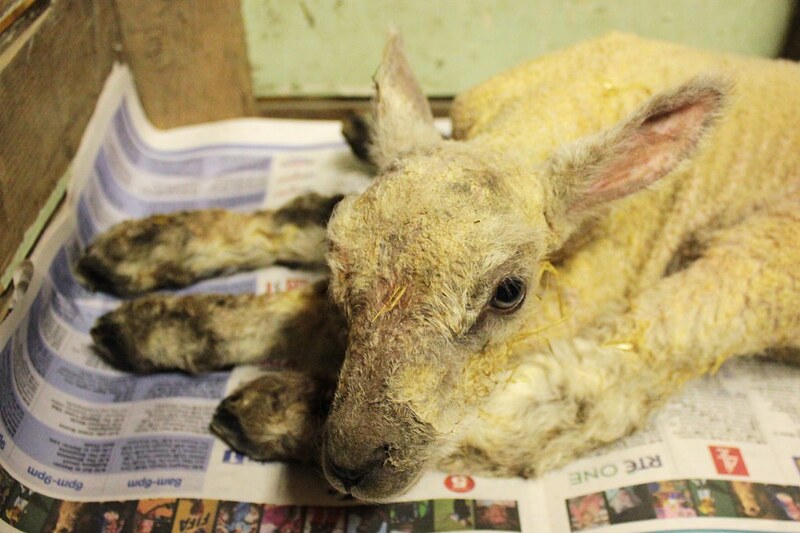 Mum makes the point that she doesn't want to have a lamb running loose in the kitchen. Dad sort of wanders off. I suggest we keep her in for at least half of the night to be sure of her health. She's better at sticking her head up now. Dad comes back. Debate continues. Kitty stands on wobbly legs. I back down and we take her outside and back to her mum. She's back with her mum and mum looks casually interested - no slow motion running along a beach and into each other's arms here. The next morning now and her mum's casual interest in Kitty continues. But Kitty's hungry and her mum doesn't seem to want to feed her, so we do. With bottles, obviously, not... yeah. Pip is still here and helping. Whatever Kitty has said to her mum, it appears to have worked, as she's suckling. 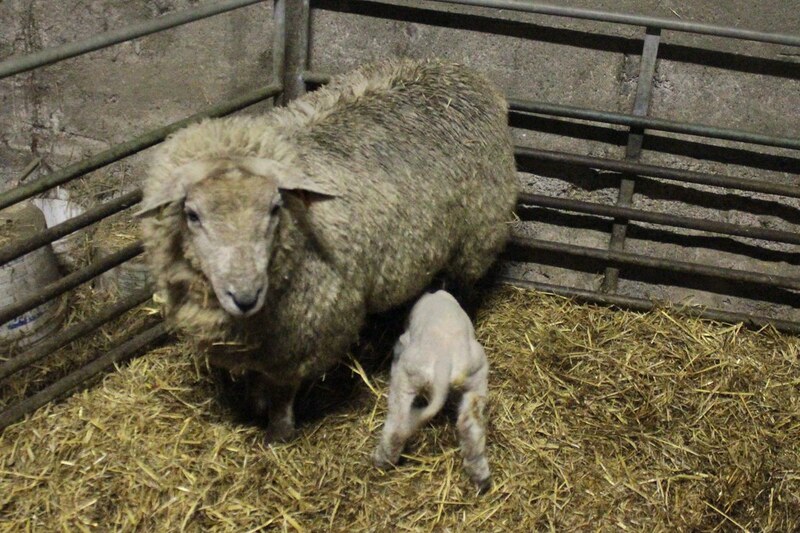 Her mum's still going around in circles a bit and doesn't stand for long, but it's a start if nothing else. 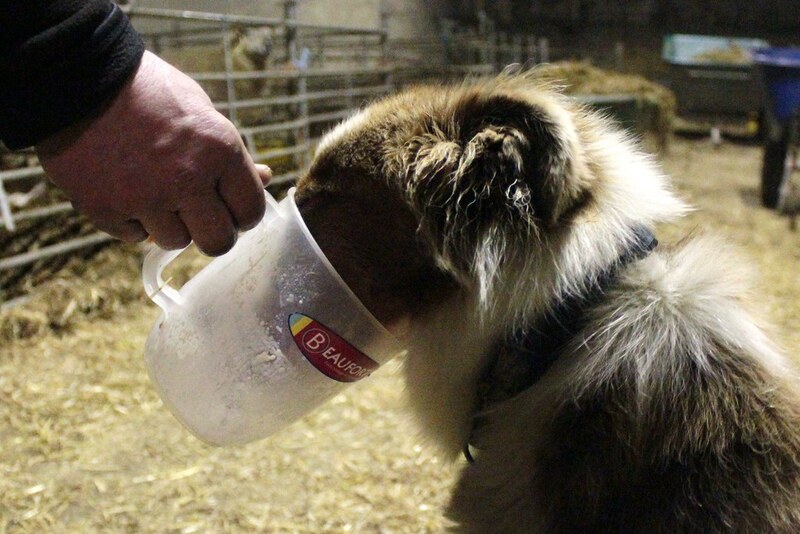 We still give her a feed from a bottle, so Pip helps by licking the jug. With a full tummy, Kitty has another go at getting a drink from mum. Pip is feeling smug because she helped. Kitty and her mum seem to have made up their differences and are both getting along much better, the latter standing long enough for the former to have a drink. So we leave both to get on with it. Great job, Pip! I think it was your help that saved the day! I agree completely. 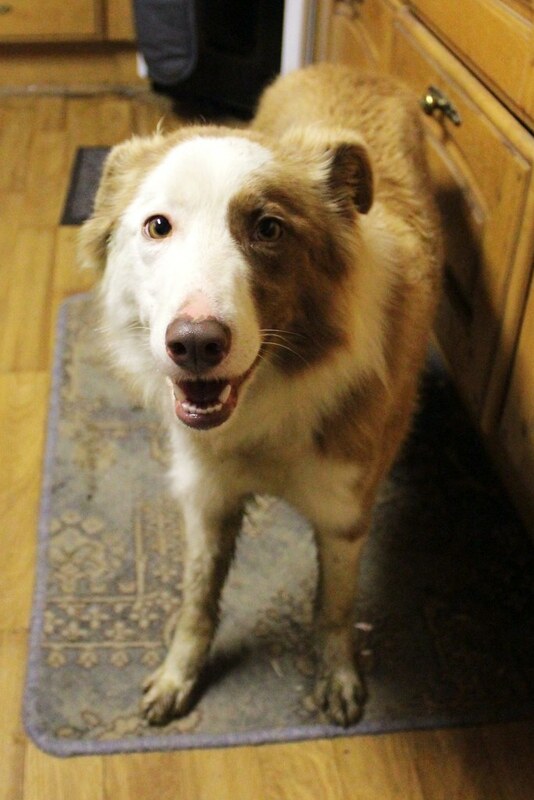 If it wasn't for me, that lamb would have been in even deeper trouble. Glad Kitty has pulled through ! 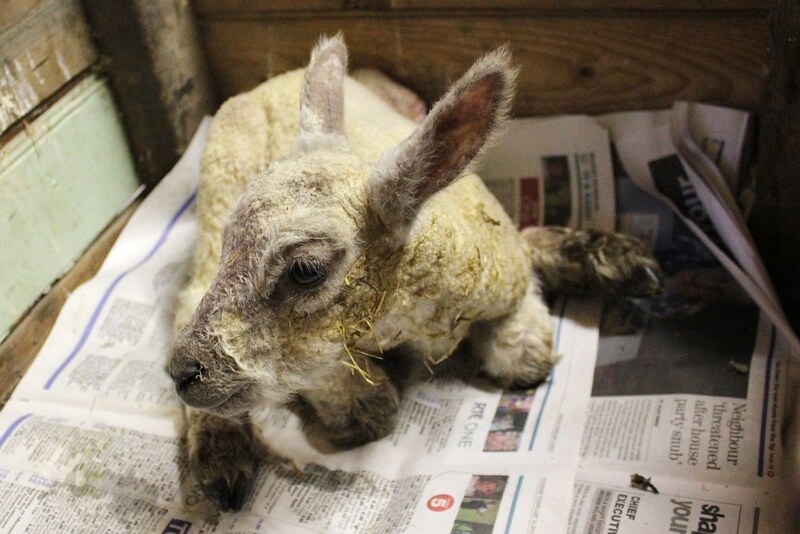 And kudos to the humans and Pip for saving the wee lamb! 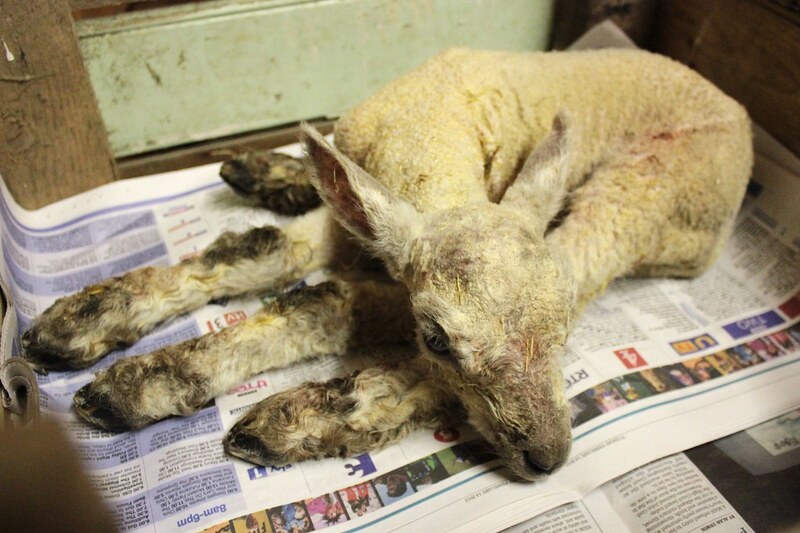 It's always so amazing how the lamb comes back from the brink of death with some heat, and then milk of course. Hope all continues to go well. Looks like Kitty has a great start to her new life, thanks to all of you. That means you too, Pip! A wonderful job! 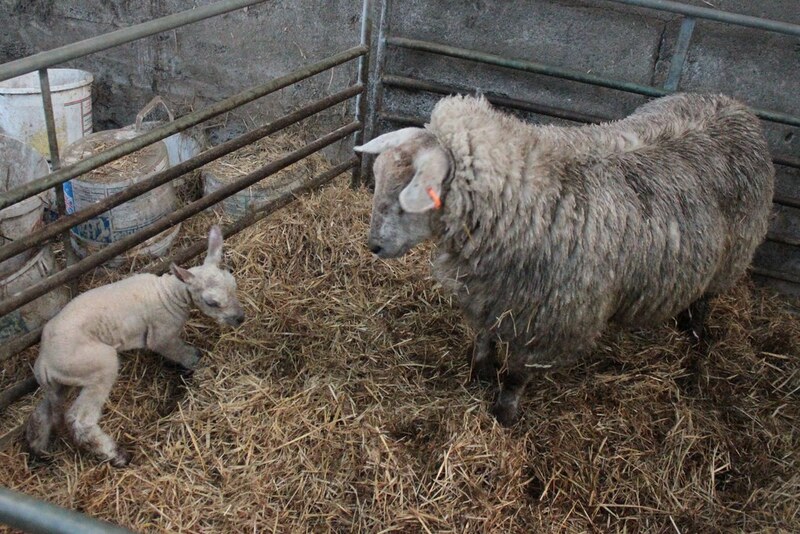 Having once sat up for a couple of days with a tiny and very weak lamb, #1 says she feels for the little one. 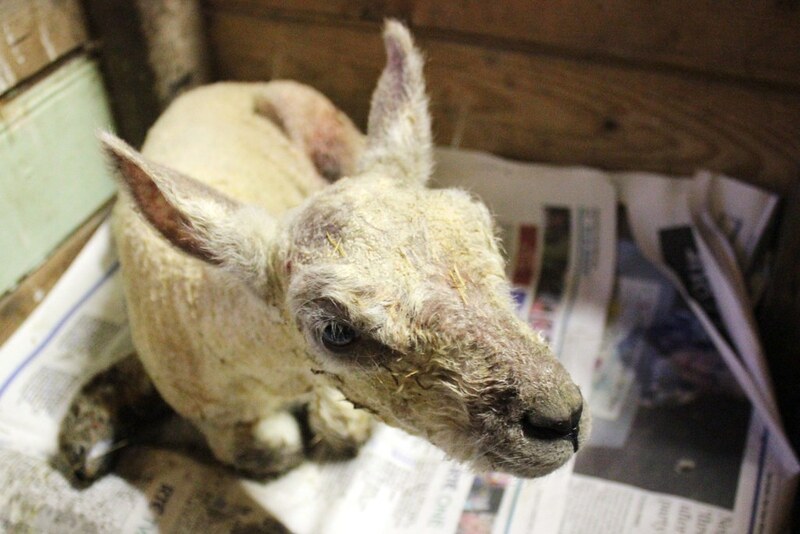 May she have a very happy lambhood from now on. And well done, Pip!